…we aren’t just a book publisher. We are your partner and publishing advocate, always striving to provide you with success and the best publishing experience possible. Take a look at some of our Remarkables listed below. It’s more than just a book, it’s a journey. Our book production facility is located just outside Philadelphia, PA. If you want to visit simply give us a call. We will enjoy the visit! Each of our authors is assigned their own Author Advocate, a personal contact for live communication; from your first inquiry, through preparation, publication and distribution of your book. Our Author Advocates will work directly with you to help your book move seamlessly through the publishing process. Your book will be available at virtually all major retailers on the web including Amazon, Barnes & Noble, Chapters-Indigo, Audible, 10,000+ libraries and others. Learn More. You keep all rights to your book, at all times. You control the content and design of your book. You’ll receive FREE copies of your book in all our publishing packages. You will be able to purchase copies with a 50% discount off the first order and 40% off each additional order. On orders of 250 or more (to one physical location), you’ll always get a 50% discount. Lean More. Statements are emailed to you on a monthly basis, not quarterly, providing you with faster statistics on your sales. You have a choice of allowing our production department to design the interior of your book based on your specs, or you may send us a camera-ready layout of your interior. You can include numerous images embedded in the book file, B&W or color, and there is no additional cost for most random color insertions. Please ask about your specific book and whether special image handling is required. 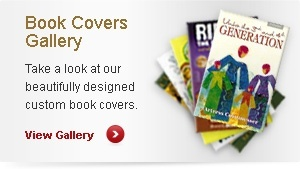 Your book will have a professionally designed front and back cover with your direct input. We do not use templates. This service alone often costs thousands of dollars at other publishers. 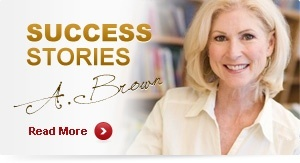 We register your book with Bowker (Books in Print), the exclusive U.S. ISBN and SAN Agency. At no additional charge we will assign a separate ISBN number to all versions of your book published by us (hardcover, paperback, color, eBook, audio). These changes are included at no additional charge for your first proof book. Actual hard-copy books are sent to you for proofing, with color cover and B&W interior pages. (for print books only). Using two specialized programs for publishers, we can guarantee Amazon’s ability to have your book for sales at all times. Amazon is the largest bookstore in the world. We can deliver our books directly to Amazon warehouses if needed. Your book will be available direct-to-consumer at our eCommerce web site, www.buybooksontheweb.com. You’ll earn very high royalties on the sales of all books sold there. We accept bookstore returns, rigorously opening the door for sales to stores. For book signings. A small inventory can be made available (at authors request) from our online store – with 24 hour shipping during business hours when books are available. Your books will be shipped directly to legitimate book reviewers at their request – at no cost to you! We host ongoing educational book marketing/promotional webinars each month to help our authors sell more books. Our social networking sites are where authors can gather to share ideas, exchange marketing and promotional tips and gain support from a community that understands. We are actively delivering new content on FaceBook, Twitter, LinkedIn and others. We send our newsletter regarding industry news and marketing strategies monthly and offer a daily blog form our authors and from our expert staff and guest bloggers. As an Infinity author, you’ll benefit from being published by a book publisher and distributor that booksellers have grown accustomed to ordering from. We enjoy an outstanding record for prompt delivery and customer support. Infinity has a vested interest in selling your book, because only through sales of books do we stay in business.